Eritrean (MNN) ― Yet another Christian has died in the face of persecution in one of Eritrea's detention centers. On Jan. 24, Hana Hagos Asgedom, 41, became the eleventh believer to die in these detention centers. Asgedom suffered a heart attack while being held in solitary confinement at Alla Military Camp. Open Doors said, "Shortly before her death, she apparently endured beatings with an iron rod for refusing to ‘make the chief commander in the camp a cup of coffee.' When Asgedom resisted this order, which Christians interpret as sexual advances, she was apparently sent back to her cell where she endured punishment and later succumbed to the heart attack." 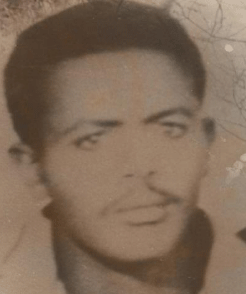 Asgedom was originally arrested and held in Wi'a Military Camp for three years. However, when the camp shut down, she and the other prisoners were moved to Alla, where she was given a final chance to renounce her faith. When she refused, she spent the rest of her life in solitary confinement. Just days before Asgedom's death, Open Doors said Pastor Habtom Twelde was released from prison on Jan. 21. Arrested in 2008, sources believe he was released because of "complications from his diabetes." However, upon release, authorities told him not to continue Christian activities. Despite the pastor's freeing, the Eritrean government has recently wanted even more control over religion. In December, they "ordered the heads of Islam, the Catholic Church and the Evangelical Lutheran Church to stop receiving funding from their partners abroad." Instead, the government would fund and control the institutions. While the Catholic Church responded, saying the orders were against their belief, Open Doors does not know if the Evangelical Lutheran Church or Muslims have reacted. Pray for the Church in Eritrea. Pray for the believers to be strong in the face of persecution and to continue to boldly share the gospel. To support Open Doors in their efforts to aid persecuted Christians around the world, click here.